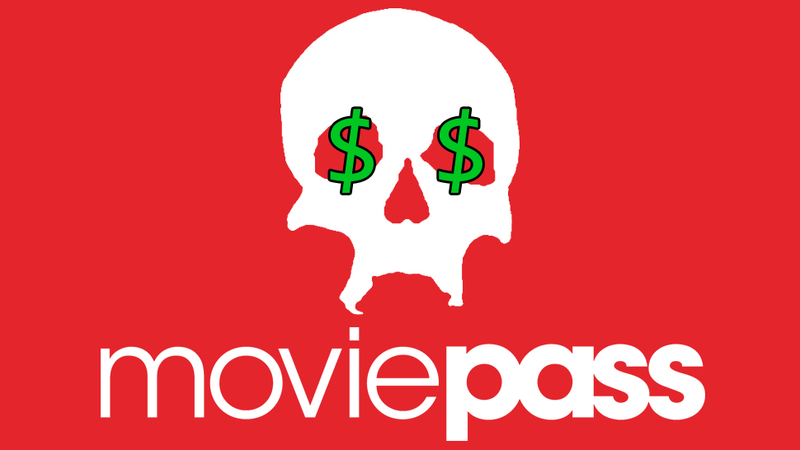 If e-ticketing startup MoviePass isn’t quite dead yet, there’s been no mistaking the telltale signs of a dead man walking for months now. After months of reports that the service was about to hit a financial brick wall, it suddenly ceased paying for major new releases, nuked its unlimited plan, and offered customers who didn’t want to continue subscribing to a plan only good for three a la carte movie selections a month and a discounted fourth ticket a cancellation and refund. It’s posted huge quarterly losses and is facing a shareholder lawsuit over alleged fraud. And now, the cardiac arrest has begun in earnest. According to the Verge, the company is now sending emails to what it described as a “select test group” of customers who it says did not opt in to the new three movies a month plan. The emails say that these subscribers’ accounts will be re-activated on October 4th and be put back on the monthly $9.95 billing cycle unless they click a specific opt-out link. Of course, it is not, because those subscribers who left did so because MoviePass is now a shell game that cycles the availability of films according to their financial whims. For example, if you wanted to see the horror thriller Hell Fest, the only upcoming date listed is Monday, October 1st. MoviePass doesn’t even have a list of available films past October 3rd on its website. The company claims its TOS gives it pretty much free reign to change any aspect of the service regardless of when you subscribed or when your next billing cycle happens to be. When MoviePass realized that it had to change the terms of its subscription for its annual members prior to the start of a new billing cycle — a move that opened it up to legal action — the company tried to make amends by offering refunds or the option to transition to a paid out monthly plan. Prior to that, members who cancelled the service in August during the period of tumultuous and seemingly non-stop service changes were automatically opted back into new plans, which the company attributed to “bugs” in its service. This is at least the second time since August when MoviePass has used a shady tactic to re-enroll customers. But this latest move is at the very least unethical, and it is questionably legal. Customers on Twitter and Reddit are describing it as a form of fraud, and some users claim to have explicitly canceled their accounts (as opposed to just letting them lapse) or un-linked their payment cards, yet still received the email. MoviePass has long been plagued with allegations of absentee customer service, and the unending string of changes to its service were frustrating enough. But this is a whole other level. In August 2018, we announced a new offering for three movies a month for $9.95, giving subscribers the ability to opt-in to this plan if they wanted to continue as a MoviePass subscriber. However, our records show that you have not yet taken any action on the new plan, and because of that your subscription was suspended and your monthly subscription charges have stopped. Because we really hope you begin enjoying your MoviePass subscription again, we have chosen you to be a part of a select test group, who beginning Friday, October 5th will be restored to unlimited movies (up to one new movie title per day based on existing inventory) – the same subscription that you signed up for and you previously enjoyed. If you decide that you do not want this you must “opt out” before Thursday, October 4th at 9:00PM ET. To be clear, unless you opt out, your unlimited subscription will be restored and you will begin enjoying unlimited movies again (up to 1 movie per day, based on existing inventory) at $9.95 per month, and your credit card on file will be charged on a monthly basis beginning Friday, October 5th, 2018. If you do opt out of the restoration of your subscription to the unlimited plan, your subscription will be canceled and no longer held in a “suspended” status, and you will not be able to re-join until 9 months have passed. Even if you’re fine with the a la carte “unlimited” plan, we encourage you to cancel, because there’s just no telling what tricks MoviePass will pull in the future at this point.